Thinking about new appliances? 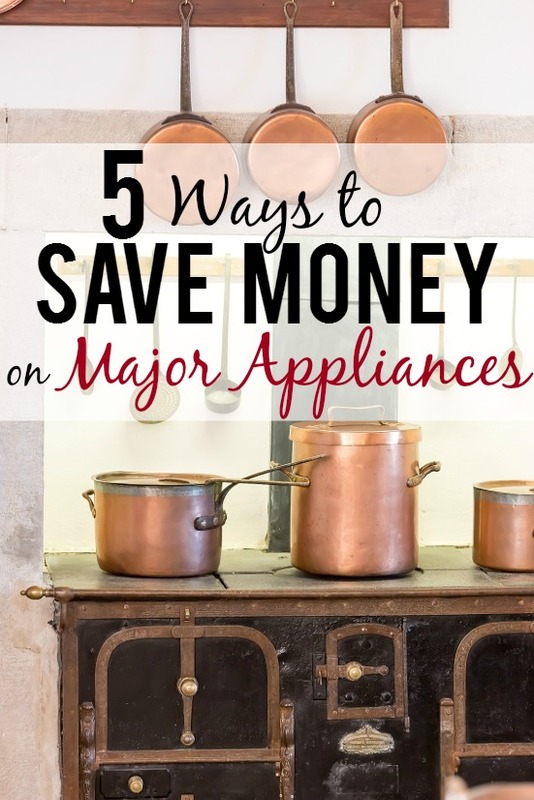 Use these 5 simple and easy ways to save money on major appliances to help you save on your next appliance purchase! 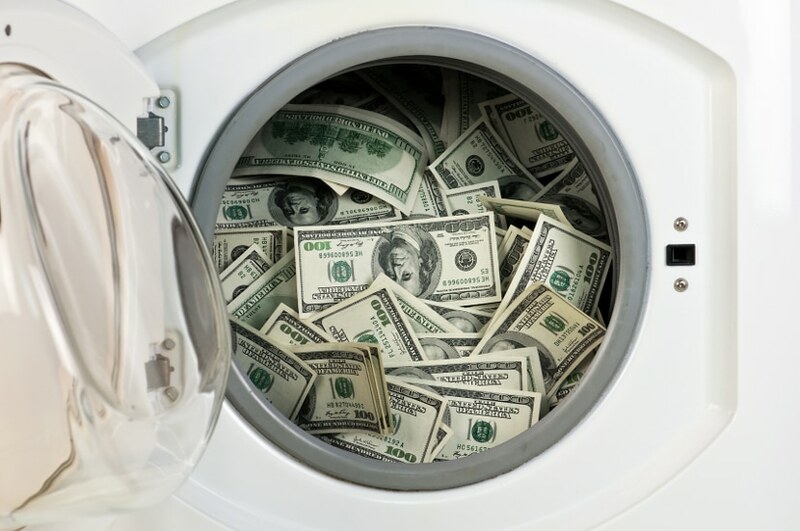 Buying a new major appliance can wind up being a major expense! Most major appliances are at least a couple hundred dollars, and that’s usually for entry level appliances. They can be in the thousands if you want a “heavy duty” or “professional” appliance! 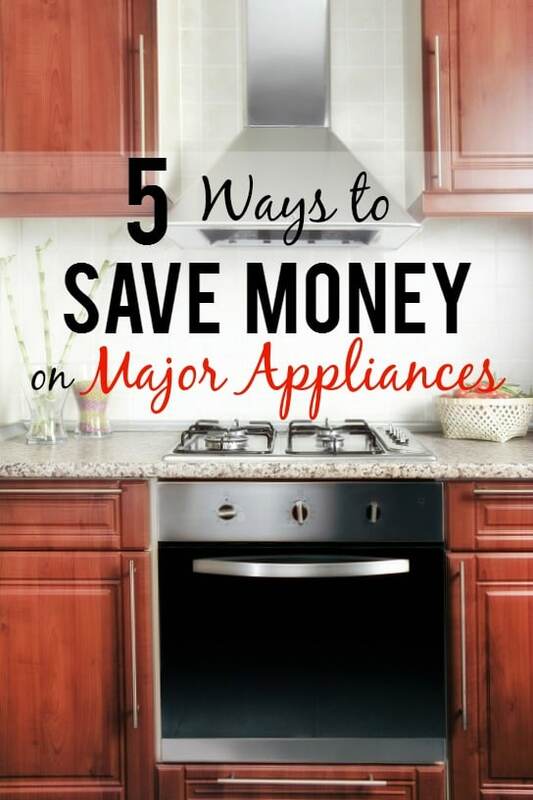 So to help you save on your next appliance purchase, here are 5 Ways to Save Money on Major Appliances! Yes, the shiny designer blue washing machine may look beautiful. But if that added aesthetic appeal adds $50 or more to the price, then it’d be better for your budget to just go with a plain matte white washing machine instead. You could always add a pretty decal to it later, or paint it if you wanted! 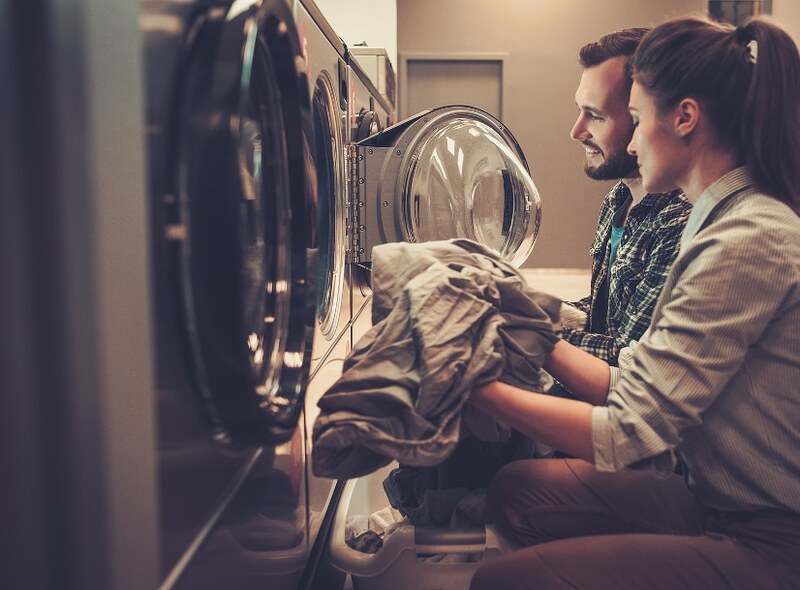 Either way, if you want to save money on major appliances, you’re better off just finding something that fits your needs and your budget, rather than going after whatever’s prettiest. Also remember, if money is tight, avoid appliances with extra features that may be nice to have but aren’t necessary. Price matching is an easy way to save money on major appliances! Nowadays most stores price match with their local competitors, their own website, and the websites of their competitors. If you can find the same appliance somewhere else for a better price, consider trying to price match it at your favorite store! You’d mainly want to do this if the store with the better price would wind up costing more due to fees or shipping, or if you prefer purchasing appliances from a physical store rather than an online store (for easier returns/service). Depending on where you’re shopping, you may be able to negotiate to reduce or remove installation costs, removal costs, or even shipping costs! To do this you obviously need to buy from a person, not a website, but if you’d prefer to shop at home, consider placing your final order over the phone. 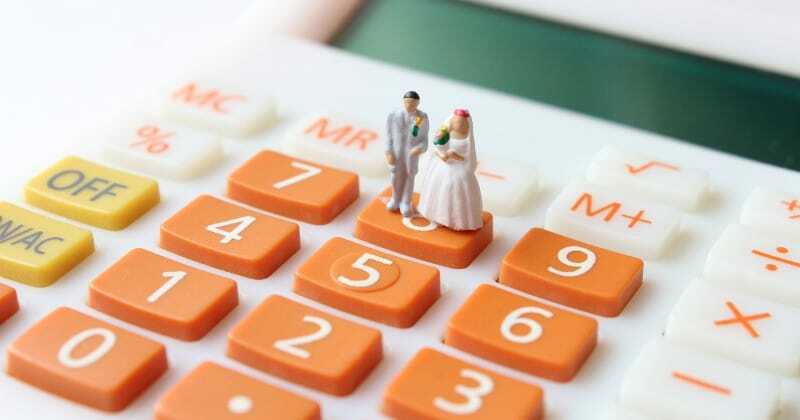 You may be able to convince the customer service representative to add on a discount or remove some fees! Also, if you’re shopping in-store and encounter any kind of difficulties that make the process less than pleasant, ask for free shipping, no installation fees, etc. to make up for your time and trouble. While it may be nice to have a bunch of oversized appliances, you need both a lot of space and a lot of money to get them! Instead, focus more on getting appliances that adequately fit your needs. If you’re a single person, you can get by with smaller capacity appliances. And if you already have a chest freezer, there’s no need for the new refrigerator to have a huge freezer, too. 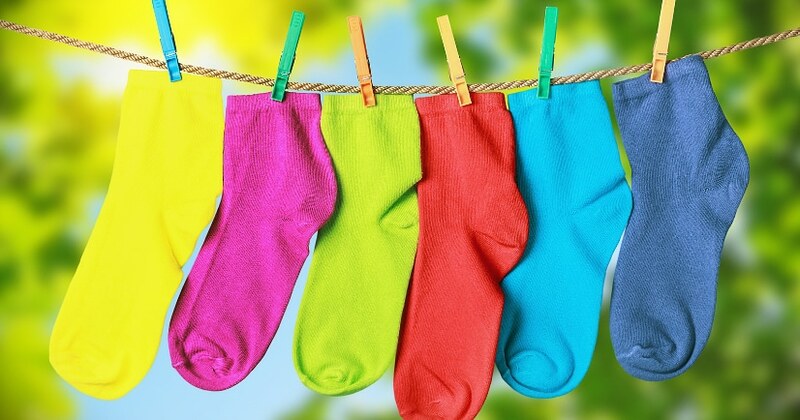 By only shopping for things that are the right size, you can save money on major appliances! Now when I say “slightly damaged” I don’t mean damage that compromises an appliance’s functioning abilities. I mean cosmetic damages, like dents, scratches, dings, and chipped paint. Depending on the type of damage and the appliance, you could save hundreds or even thousands by buying a less-than-perfect appliance! To find these discount appliances, you’d save a lot of time by just calling your local appliance retailers and asking if they have any cosmetically damaged appliances for sale. Some store may always have some for sale, while others like to keep them in the back then sell them all at once every so often, often around holiday sale periods. Have you ever purchased an appliance for a great deal? 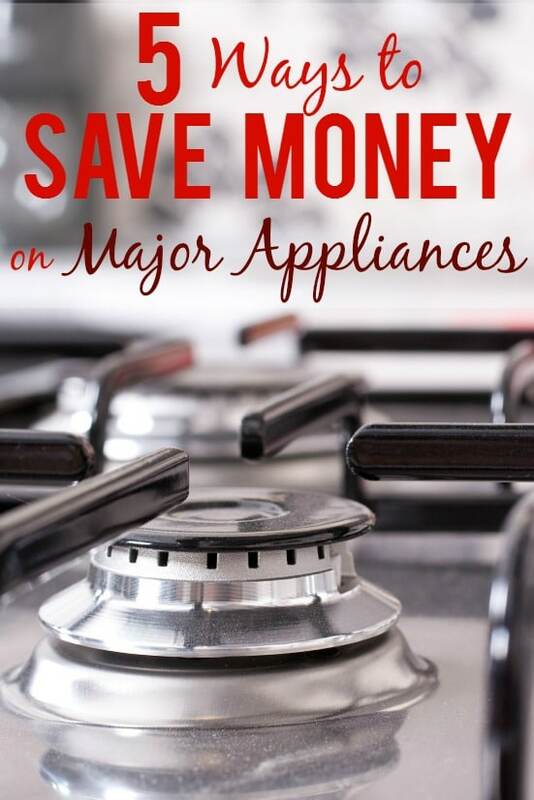 Did you like these Tips to Save Money on Major Appliances? 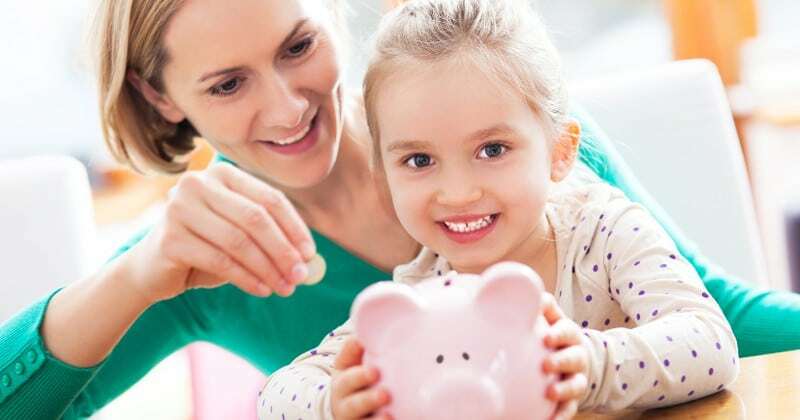 Find more on my Frugal Living board on Pinterest!